We'll provide the gifted faculty, unconventional degree programs, career-focused experiential learning and a vibrant campus life. Admission to RIT is competitive, but our admission process is a personal one. Each application is reviewed holistically for strength of academic preparation, performance on standardized tests, counselor recommendations, and your personal career interests. We seek applicants from a variety of geographic, social, cultural, economic, and ethnic backgrounds. Submit an official high school transcript. Transcripts may be sent electronically or mailed/emailed to RIT Admissions from your high school guidance office. An Art Portfolio is required for admission to the School of Art, School of Design and School of Film and Animation. For Spring Semester or Summer Term, applications will be reviewed on a rolling basis. 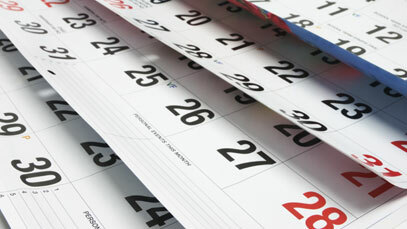 Notifications will go out 4-6 weeks after all documents are received. Early Decision (ED) plans come in many different forms. RIT's Early Decision Plans can be described as a "friendly" version of a binding agreement. 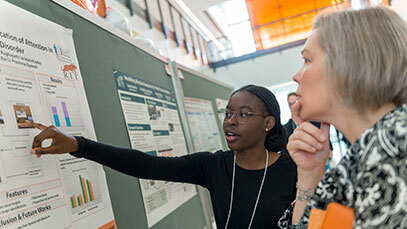 Most students applying to RIT choose a specific major as part of the admission process. In addition, all colleges offer undeclared options, and the University Exploration program is available to applicants with interests in two or more colleges. Admission to the Honors Program Given the variety of majors, admission requirements and entrance exam score ranges will vary from one major to another. 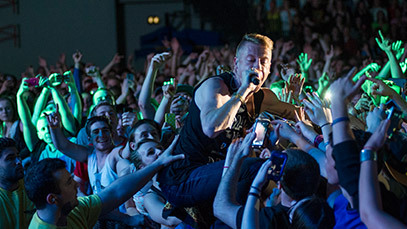 We would expect, for example, that a student applying for admission to our computer science program would present a strong academic record with particular strength in mathematics, while a student applying for a fine arts major would need to show artistic talent through a required portfolio. RIT is pleased to review your AP coursework for possible transfer credit. In order to receive credit for the courses, official AP test scores must be submitted to the Office of Undergraduate Admissions from the College Board. An exam score of 3 or higher is necessary to be considered for credit. In many cases, however, a minimum score of 4 is required to obtain credit for specific college courses. Each department will determine the specific amount of credit to be awarded. RIT recognizes IB level work. Credit may be awarded for higher level examinations completed with a score of 5 or higher. Credit is awarded on a course-by-course basis and in the context of the student’s intended program at RIT. Each department will determine the specific amount of credit to be awarded. Students are requested to forward IB transcripts to the Office of Undergraduate Admissions. Transfer credit will be considered for relevant coursework where a grade of C or better was earned at a regionally accredited college or university. Official transcripts must be submitted and will be reviewed on a course-by-course basis. RIT also reviews work performed in courses and training programs evaluated by the American Council on Education (e.g., CLEP, DANTES, etc.). Each department will determine the specific amount of credit to be awarded. 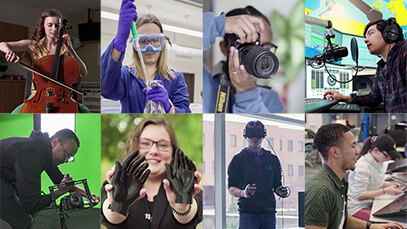 The 29th Annual College & Careers program at RIT is an amazing opportunity for you to explore career options through interactive academic sessions. These sessions include personal hands-on experience, demonstrations and discussions. Working with our renowned faculty and students you will discover and utilize the state-of-the-art facilities and technology available at RIT. 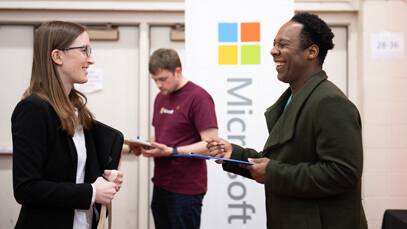 This two day career conference is designed to help students, who will be entering their senior year in the fall, gain the experience and knowledge necessary to start making career decisions about their future. 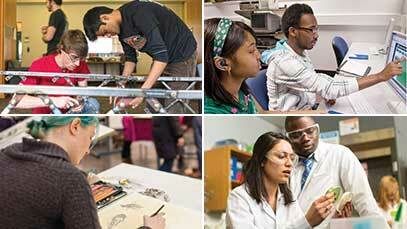 In addition, College & Careers is a great way to experience life as an RIT college student. You will get to sleep in our residence halls, eat in our student cafeteria and participate in Friday night social activities with other college-bound seniors. College & Careers also includes a separate (but optional) program for your parents, which will provide them with information about the college search process, financial aid and more. Registration has concluded. Please check back soon for the 2020 schedule. 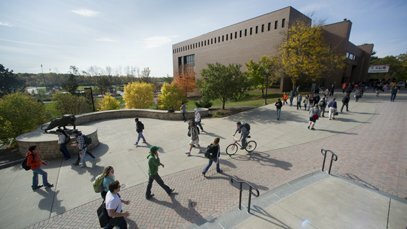 This is a perfect first look at RIT for students who are just starting their college search! 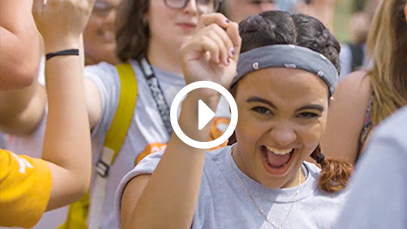 High school freshmen, sophomores, juniors, and their families can learn more about RIT academics, the admissions and financial aid process, and tour the academic and residential facilities. 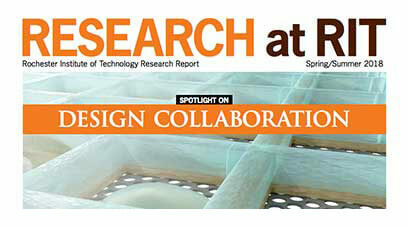 Thank you for your interest in RIT. We realize that as a school counselor understanding all that colleges and universities have to offer can sometimes be overwhelming. The following events are designed to help you assist your students in making college choices that are right for them. This annual program provides an excellent opportunity to learn more about some of the distinctive majors offered and what makes RIT an exciting option for college bound students. This year's Counselor Enrichment Program will be held on Wednesday, May 29th, 2019. Please join us for a school counselor breakfast and information session at a local hotel in your area. 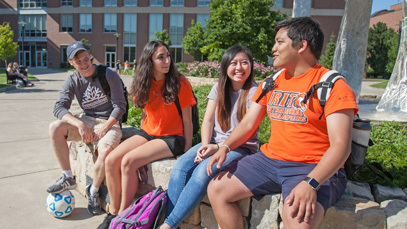 Our admissions team will come to you with information on RIT's unique academic programs, experiential learning opportunities, student life, support services, potential match between students and RIT, and application processes for admissions and financial aid. These events take place in the fall only.